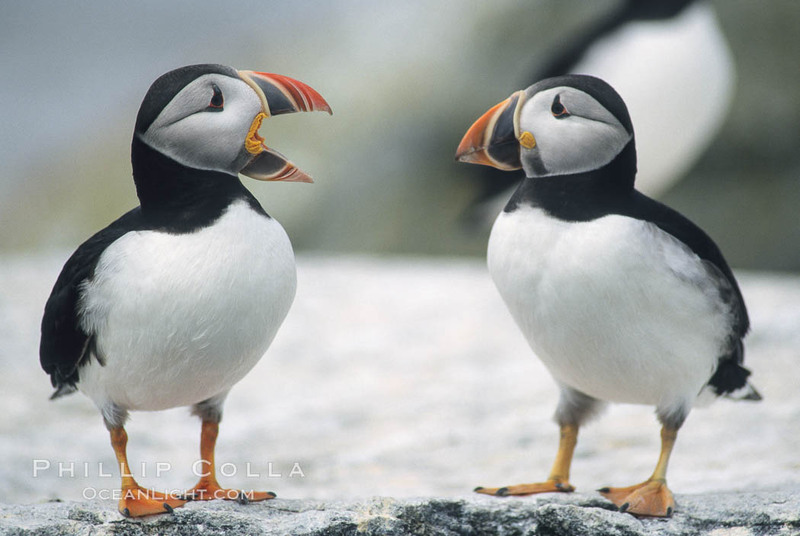 Machias Seal Island is one of the best places in the world to observe Atlantic puffins (Fratercula arctica), and is certainly a fun place to get to. Machias Seal Island, near the US border with Canada in the Gulf of Maine, is accessed by a short boat from the easternmost tip of the United States, using services at either of the Maine coastal towns of Jonesport or Cutler. This is a beautiful section of the Maine coastline, worth a visit in its own right to see what “downeast” Maine looks and feels like away from the more touristy and crowded areas, but for wildlife enthusiasts the likely chief attraction will be a visit to Machias Seal Island to see sea birds. 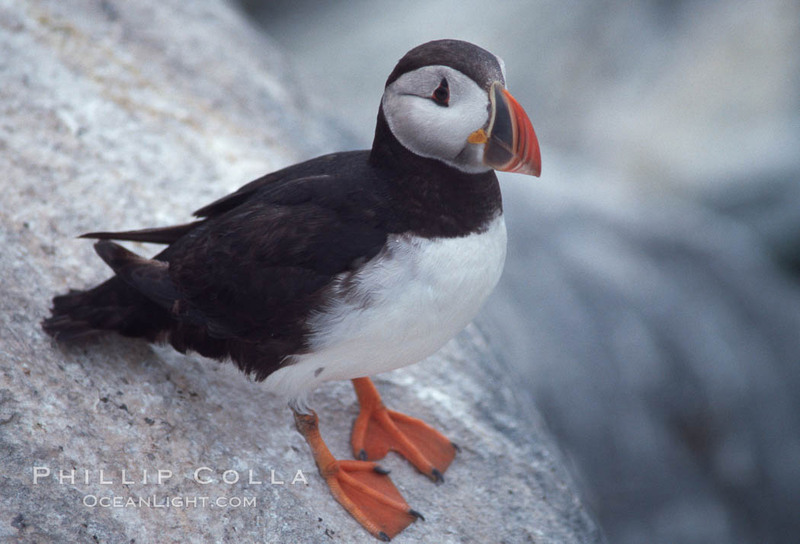 There are approximately 3000 breeding pairs of Atlantic puffins at the summer breeding colony on Machias Seal Island, and good times to visit are late May through September, with the peak numbers of birds somewhere in the middle of that period. Once on the island, visitors take turns walking through the breeding colony to permanent blinds (actually small huts with tiny windows). 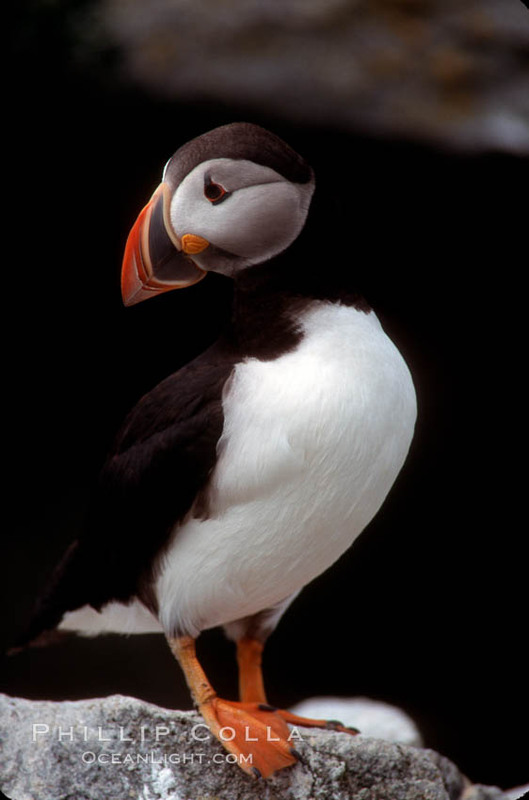 Once you are inside your blind — and presumably invisible to the puffins — the small birds resume their normal activities and you can observe them from very close range. This is a special opportunity, since Atlantic puffins are now gone from many of their former island breeding colonies, due to historic hunting and continued predation by several species of gulls. I have taken the 90 minute trip to the island with Barna Norton of Jonesport. His small boat was crowded with passengers, but the trip was short (by my standards) and pleasant enough with enthusiastic talk and anticipation amongst the experienced birdwatchers (of which I am not) being the pursuit on the way to the island, and quiet reflection (i.e., napping) the name of the game on the way back. Bold Coast Charter Co. in Cutler, Maine offers a similar boat trip to the island, with nearly identical cost. The drive to Cutler is longer than the drive to Jonesport, but the reward is a shorter boat trip from Cutler to the island than from Jonesport. BirdingAmerica.com and Mainebirding.net both offer great summaries of what a visit to Machias Seal Island is like, from a birdwatcher’s point of view. 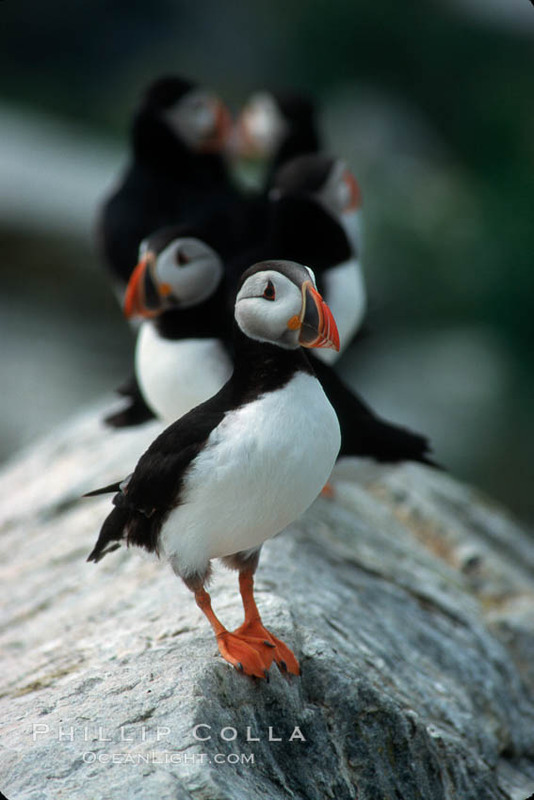 Keywords: Machias Seal Island, Atlantic puffins, puffin photos, Fratercula arctica, Maine, Jonesport, seabird, sea birds, Arctic tern, photo, photograph.